In Paul’s second letter to his protégé Timothy, he warns the young man ‘not to quarrel about words’. In fact, he goes as far as saying that this kind of arguing ‘does no good, but only ruins the hearers’ (2 Tim 2:14). It’s a strong warning, and one that many people today need to hear. But when we look closely, Paul’s warning is quite clearly against meaningless squabbles – arguing for the sake of arguing. When the truth of the gospel was at stake, time and again we see that Paul was clearly willing to hold his ground and disagree with others. In our own day and age, I’m more and more convinced that Christians need to fight for the truth of a particular word, a word that goes to the heart of what Christianity is about: faith. Among non-Christians, ‘faith’ is probably the most misunderstood Christian concept there is. In my conversations with unbelievers, in my reading, in my listening to public debate and discussion, the notion of ‘faith’ is regularly twisted into something that most Bible-believing Christians would find unrecognizable. Statements like this abound. ‘Science is rational; faith is irrational. Science relies on evidence; faith doesn’t care about evidence.’ It’s an approach that seeks to relegate religious believers into a completely different category, to present them as unenlightened and ignorant, mindless and stupid. A good tactic, if it works: move the goalposts of the debate so far that it’s impossible for the ‘person of faith’ – poor fool that he or she is – to win. There’s just one problem: Dawkins, Hitchens and everyone who shares their attitude are completely and utterly wrong when it comes to Christianity. Whatever they are describing bears absolutely no resemblance to faith as described and advocated by the Bible. Yes, there may be other religions or distorted forms of Christianity that fit their description, but Bible-believing Christians have to patiently, confidently and loudly reject this distorted picture of ‘faith’. Far from being wishful thinking or a leap in the dark, Christian belief – faith in Jesus Christ – is synonymous with trust or reliance. It’s based squarely on real, examinable evidence. It is much more than (though not less than) intellectual assent to some facts about God. It is personal trust in and reliance on Jesus, based on what we can know about him. One of the great things about the gospel is that God has revealed himself in a way that invites us to think. The gospel invites us to evaluate actual historical evidence. That’s far from the sum total of the gospel, but it’s an integral part. Most specifically, Christianity makes claims about the fact of Jesus being bodily raised from death – historical claims that can be carefully scrutinized. And if they’re true, Christianity enters a category all its own because Jesus enters a category all his own, unique among all religious leaders (not to mention all people) in human history. Or take the Gospel according to John as another case study. 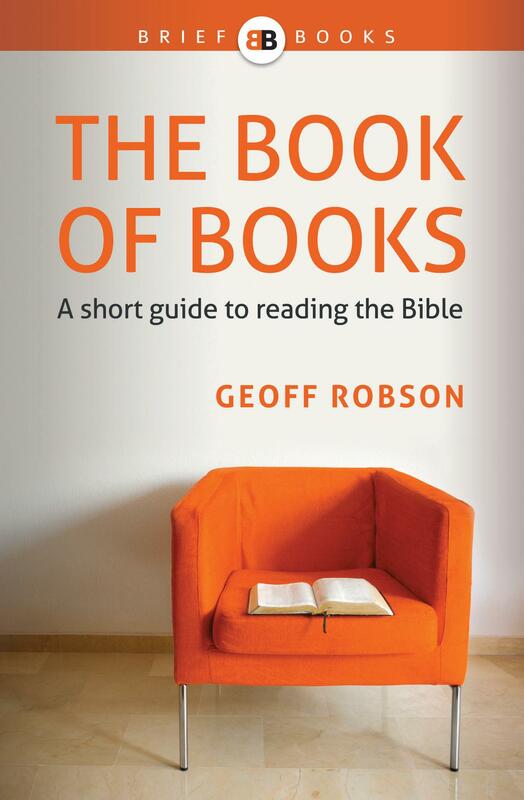 One of the biggest themes of this book is the evidence that Jesus offers his followers. Both Philip (14:6-11) and Thomas (20:24-29) want reasons to believe – and Jesus doesn’t dismiss their requests by saying, “Shut off your brain, and just have faith.” Instead, he meets their requests and offers them the evidence they seek. Indeed, we as readers are invited to believe, and to have life in Jesus’ name, based on the cumulative evidence of Jesus’ lifetime as presented to us by the eyewitness, John. This is the whole reason the biography was written (20:30-31). Now, does any of this mean we have all the answers when it comes to God, or to the universe? Or does it mean biblical ideas such as ‘we walk by faith, not by sight’ (2 Cor 5:7) are a contradiction or an embarrassment? Not at all. Let me illustrate. I trust my wife (or we could just as easily say I have faith in my wife). That’s because in the 13 years I have known her, she has given me an abundance of reasons to trust her. My faith in her is based on sound evidence. Within that relationship of trust, there may come a time that I don’t have all the answers. Imagine that she called me and said, “Meet me at the mall at 3 o’clock!” Why, I ask. “I don’t have time to explain, just meet me there!” I don’t have all the answers, but because I know her – because the evidence has shown me that she is trustworthy – my trust is still well placed. The times when I’m called on to act without all the answers are hardly ‘a leap in the dark’. I mean, if a stranger called and asked for an unexplained meeting, that’s a leap I’m not taking – because there’s no reason for me to have faith in that person. Faith and reason are not enemies – in Christian thought, they’re great friends. Walking by faith (not by sight) doesn’t mean we switch off our brains; it means we know enough about God to continue trusting him even when we can’t see the whole picture – praise God! I’m sure Dawkins and his ilk are misrepresenting Christianity. What I haven’t worked out is whether it’s happening knowingly or unknowingly. Either way, in this environment, it’s really important that Christians are willing to be (lovingly) outspoken on the true nature of ‘faith’. Christian faith is not reducible to a simple examination of the evidence. But Christian faith is anything but irrational. If you’re reading this as a non-Christian, can I encourage you to take the time to read the Bible for yourself – starting with the New Testament biographies of Jesus? And if you’re a believer, rejoice that you have good reasons to believe. Knowing Liz, it’ll be to go to a quilting exhibition.